Canadian junior middleweight Brandon Cook shocked Steven Butler in a local grudge match earlier this year and since that time he’s been looking for an opportunity to face world-class competition. 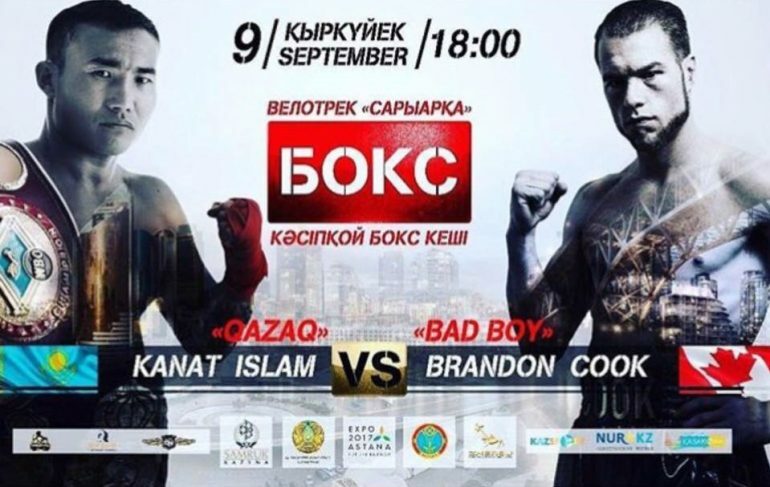 That plan was realized when Cook’s team managed to broker a deal that will see their charge face fellow-unbeaten 154-pounder Kanat Islam on September 9 in Astana, Kazakhstan. “I think it’s going to be a good match up for me,” said Cook (18-0, 11 knockouts) who is eager to test himself in what amounts to WBA junior middleweight title eliminator. “It’s going to be a tough fight but we will be ready for whatever Kanat wants to bring. Fighting so far from home for the first time doesn’t concern the Canadian who is accustomed to hostile environments. “My last fight, I wasn’t supposed to win and I ended up knocking Steven Butler out in the seventh round and his fans didn’t like it at all,” Cook said of winning the spiky Quebec-Ontario derby. “I ended up getting hit in the head with a bucket thrown from the crowd. 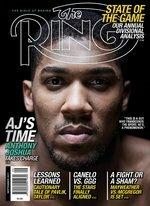 The 31-year-old from Toronto has moved quietly since debuting back in early 2011 but he does boast wins over seasoned pros such as Fitz Vanderpool and Rafael Pintos. Islam (formerly Hanati Silamu) was born in China but is of Kazakhstani decent. He represented his country at the 2004 and 2008 Olympics, winning bronze in the latter, and also took bronze at the 2007 World Championships. Like Cook, Islam (24-0, 19 KOs) didn’t turn professional until his mid-20s and this is the biggest fight of his career to date. Toronto-based promoter Tyler Buxton of United Boxing Promotions Inc. says the matchup came about because of the current situation with the WBA rankings. “The [No. 5] Brandon versus [No. 2] Kanat fight came together pretty quick,” stated the promoter. “[WBA junior middleweight titleholder Erislandy] Lara was fighting [Yuri] Foreman, [Demetrius] Andrade was fighting [Jack] Culcay and [Brian] Castano was fighting [Michel] Soro.